Airtel remains one of the best network provider in Nigeria as of today, in fact its coverage and network is felt in every state, city and almost all villages in Nigeria. Airtel offers one of the cheapest data services, they understand the economic hardship on the people of Nigeria hence they decided to allow subscribers to subscribe for WhatsApp daily, weekly or monthly subscriptions plans which are pocket friendly. But one thing we have noticed is that subscribers who opted in for this plan usually are left in the cold as they practically don’t know how to opt out, this left some lapses as this services keep draining their credit each time they top up an airtime. Auto renewal service can be really frustrating, it’s just like the devils net once you enter coming out becomes another story unless you know your ways around things or you decided to put a call to Airtel customer care to help you out. text STOPAUTORENEW to 440 then all your worries will be over. 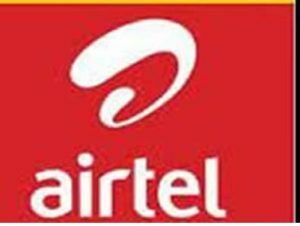 Actually not everyone will like to pass through the stressful and time consuming process you have to pass through just to get in touch with airtel support staffs, this is the main reason we now have to provide this tutorial so that it will be easily accessible to all airtel subscribers who are battling with one form of auto renewal services or the other. Hope this article is very helpful to you? Should in case you are finding anything difficult to do just let us know by using the contact for below.